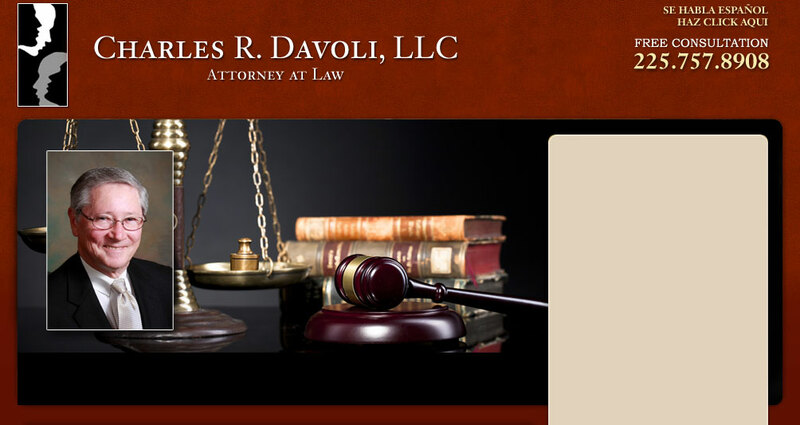 Attorney at Law, owner and manager of Charles Davoli, LLC, workers’ compensation mediation, consulting and training services. 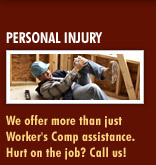 Mr. Davoli has represented injured workers for many years. 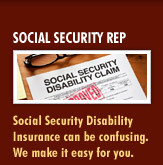 He is trusted by his colleagues, and respected by the employers and insurance companies. He is frequently called in to try to resolve disputes before they go to trial. He is a frequent lecturer on Louisiana Workers’ Compensation law and nationally on national workers’ compensation issues and trends. He currently serves as a labor representative on the Louisiana Governor’s Workers’ Compensation Advisory Council, charged with making recommendations to the Legislature on laws that impact the workers’ compensation system. He serves on its’ five person Executive Advisory Committee. He also has chaired various working task forces of the Council including, the Workplace Safety and the Second Injury Fund task forces. He serves as a sustaining board member of Workers’ Injury Law and Advocacy Group (WILG) and served as national President in 2014 and Immediate Past President in 2015. 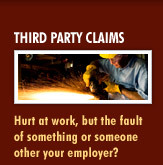 WILG is a national non-profit membership organization dedicated to advocating the interests of millions of workers and their families who, each year, suffer the consequences of work-related injuries. He is on the national board of Kid’s Chance of America, Inc., a scholarship program for the children of workers that are killed or permanently disabled as a result of on the job injuries. He is a past co-chair for the Louisiana Kid’s Chance program which is administered by the Louisiana Bar Foundation. He currently serves as an employee representative on the Workers’ Compensation Data Analysis committee for the National Academy of Social Insurance (NASI). 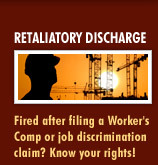 He also represents the AFL-CIO and injured workers in legislative deliberations related to workers compensation. In the past, he served as Chairperson of the Louisiana Disabled Workers Network (DAWN), and was instrumental in creating the Louisiana Workers’ Advocates (LWA) organization, which is a national chapter member of WILG. He also served as Coordinator of the Louisiana Citizens Against Reducing Employee Rights (CARE-R), a coalition of medical providers, organized labor, and the workers’ compensation trial bar. In 2009, he was appointed by then Chief Justice Kimball as a Labor representative to the Louisiana Supreme Court’s Ad Hoc Committee to Study Perceptions of Louisiana’s Legal System. He is a past chairman of the workers’ compensation sections for the Baton Rouge Bar Association and the Louisiana Trial Lawyers Association. He was chairman, for six years, of the Legal Services for Persons with Disabilities Committee for the Louisiana State Bar Association, and past member of the Access to Justice Committee. He has also served on the Professional Advisory Council for the Injured Workers Pharmacy (IWP). 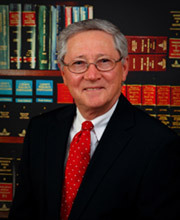 Mr. Davoli has been recognized for outstanding achievements as a practicing attorney by the Louisiana State Bar Association, Baton Rouge Bar Association, Louisiana Association of Trial Lawyers, Louisiana Association for Justice, WILG, Louisiana Disabled Workers’ Network, designated as a notable workers ’ compensation attorney by LexisNexis and is a Fellow of the National College of Workers’ Compensation Lawyers. He was most recently honored with the 2015 Esther Weissman Eternal Optimism Award, the 2016 Louisiana AFL-CIO President’s Brotherhood Award and the 2016 WILG Lifetime Achievement Award. The WILG Lifetime Achievement Award is the highest award given in the national claimant’s bar for outstanding contributions and achievements in the field of workers’ compensation. Prior to obtaining his law degree at Louisiana State University, he served as Director of Criminal Justice Planning & Budgeting in the states of Florida and Michigan, and served as Assistant Secretary for the Louisiana Department of Corrections and Public Safety. He also holds a BA degree in Psychology, a MS degree in Criminology & Corrections, and has obtained certificates in Public Administration, Higher Education, and Law Enforcement Administration. He is a former instructor at Louisiana State University and Southeastern Louisiana University.